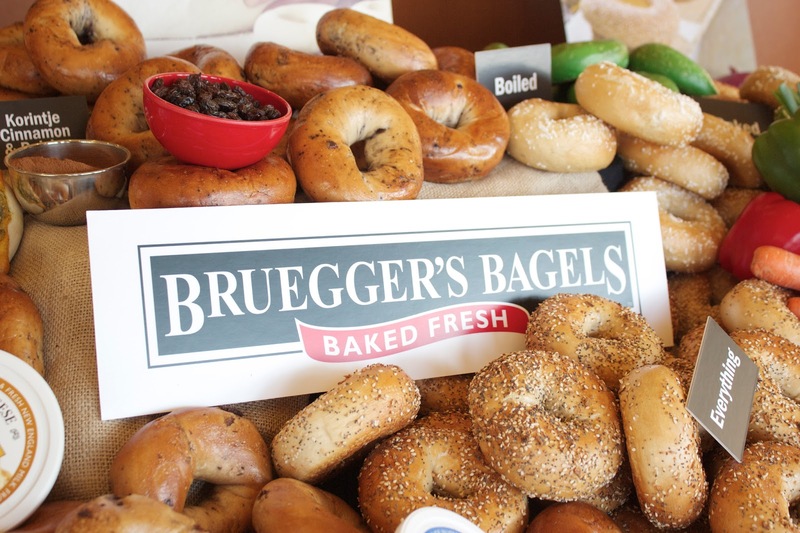 I was recently invited to go behind the scenes of a local Bruegger's Bagel shop here in Minneapolis as the company celebrates its 30th year. 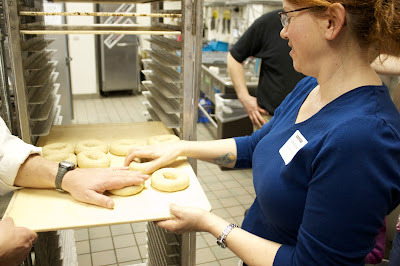 It was so much fun seeing how the bagels come together in their beautiful bakeries, and of course we got to eat bagels, and even help to make some! Chef Philip Smith walked us through how the bagels were made and then took us behind the scenes to see exactly how it was done. 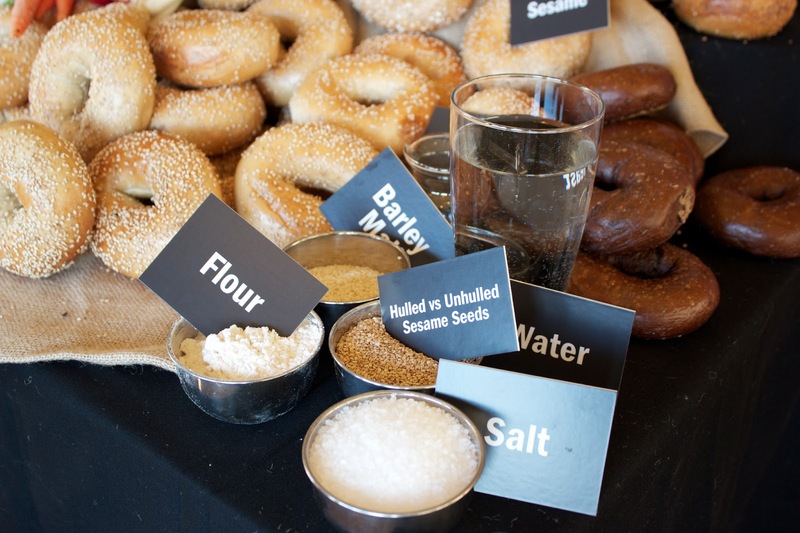 Each bagel is formed and then allowed to rest in a cooler for up to two days before it's boiled and baked. This allows the flavors in the dough to develop as well as for the outside crust of the dough to harden up somewhat. 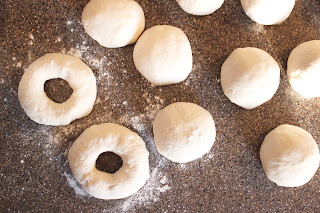 This is different than how I normally make them so I was excited to test this out at home afterwards. 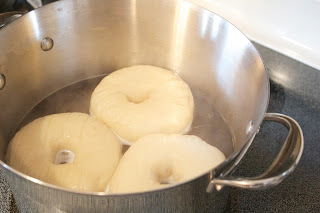 After their resting period, the bagels and boiled in small batches in a large vat of just simmering water. After bobbing around in the water for a few minutes they're removed and placed on these canvas wrapped trays. 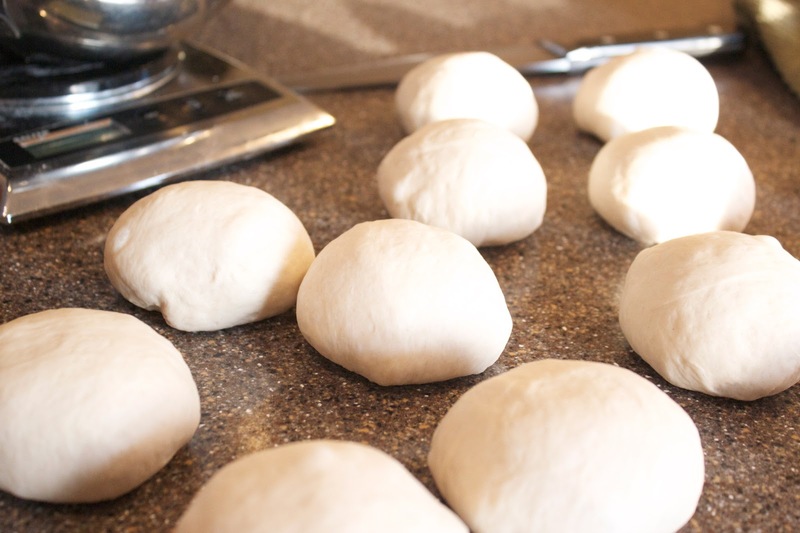 Toppings are added here and then they're placed in the large stone hearth oven to finish baking. 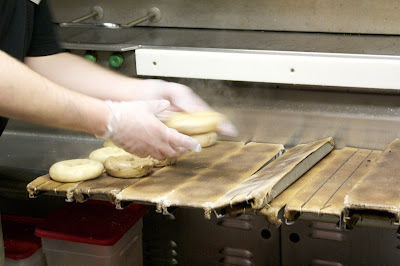 They start out upside down and are flipped off the trays onto the hearth partially through baking. 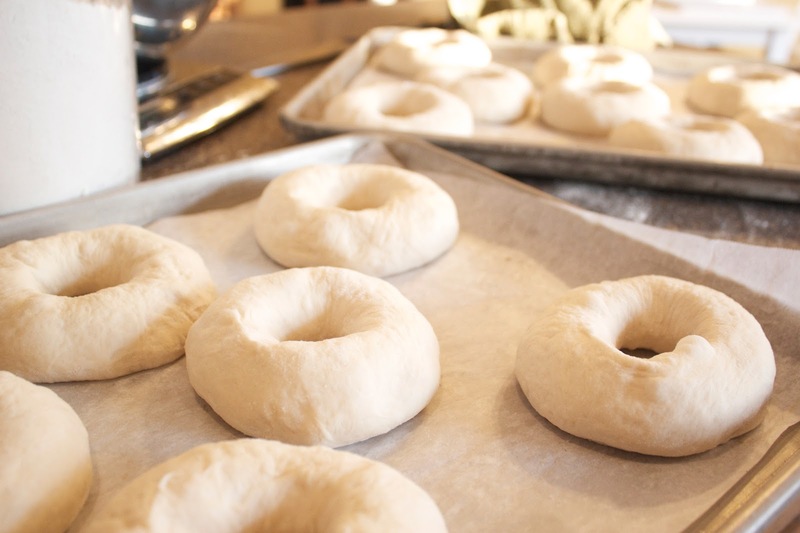 The result is a perfectly shaped bagel, that's lightly browned with that crispy shell and chewy center. 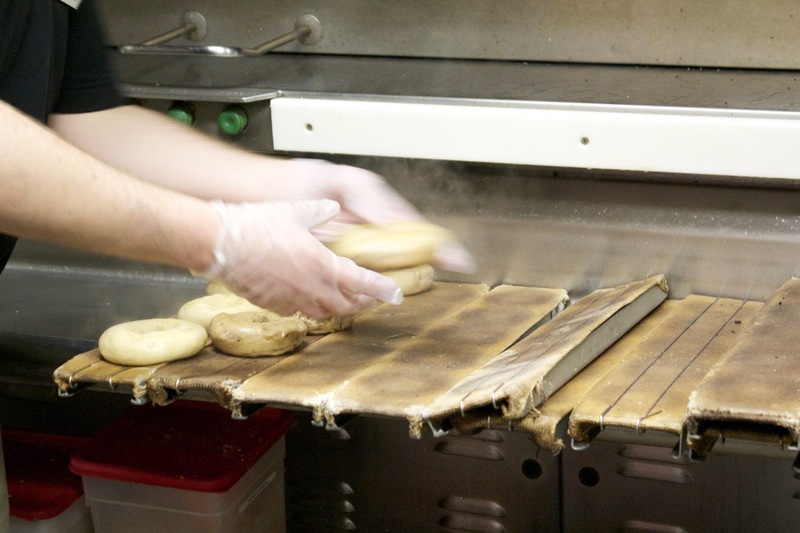 This process goes on all day, resulting in always fresh bagels no matter when you stop by. 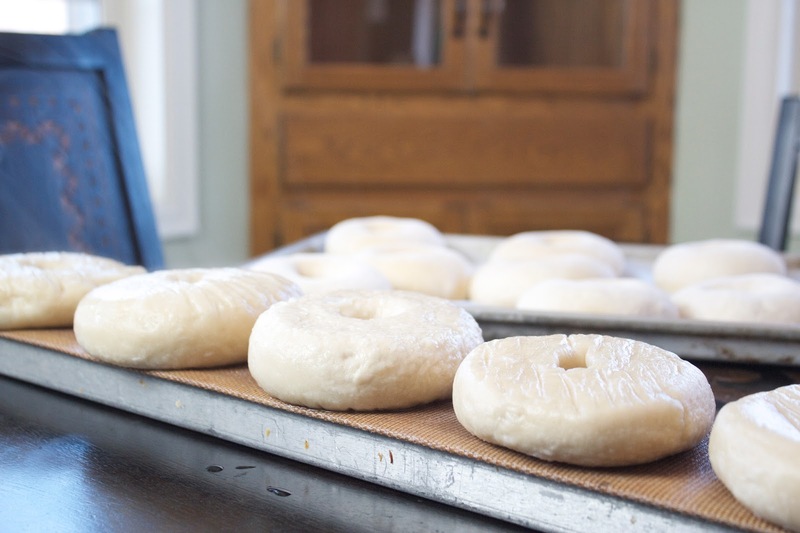 I've made bagels a few times before and my wife has been asking for them again lately so I was excited to try some of these new techniques at home. 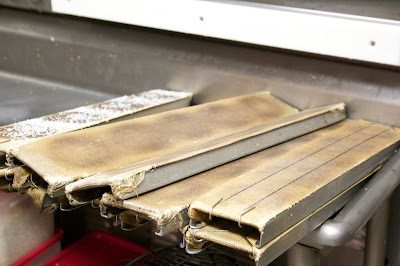 Remember those canvas wrapped boards? I was asking Chef Smith so much about them, he broke down and just handed me one and told me to take it home. Awesome. So of course I had to integrate that into my process as well as letting them sit in the fridge at least over night. Here's my original egg bagel recipe you can try it with. Even without the board, use a pizza stone in a very hot oven and you'll get similar results. To form the bagels this time, I made them into individual balls and then poked my finger through the center and then expanded it to the size I wanted. 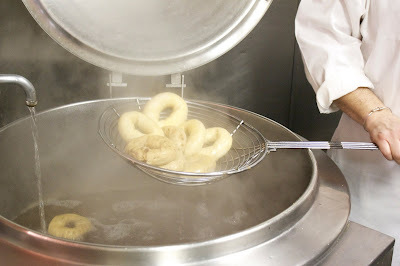 Affordable website on thymeinourkitchen.com.It is a fantastic for us.Really,I choose this site. Found it forwarded by someone on my Twitter follow list. I am Looking forward to more hints and tips like this. This is very nice post! I will bookmark this blog.So,I want to know Welcome to SalvageReseller.com, the most practical position on the web to Auction cars from a comfort Authorized Agent. If you're looking to discover money saving offers on used vehicles on the market, you've come to the right place: Our website allows you to become an immediate individual in a comfort public auction and bid on inexpensive vehicles from the relaxation of your own home or office! Why buy damaged cars? A used vehicles public auction can convert to excellent benefits in several different ways. I like your choice full Article. 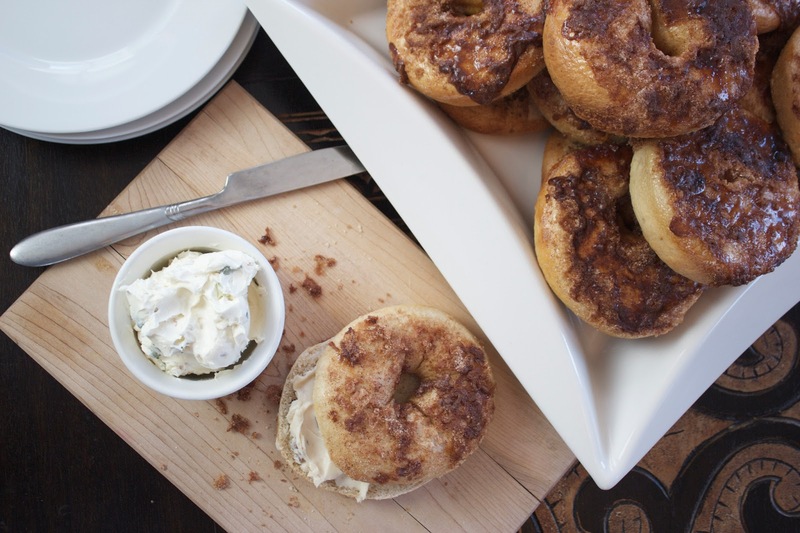 Congratulations on the home-cooked bagels, the canvas board paid off, it appears! Thanks again for attending our event. Matt! 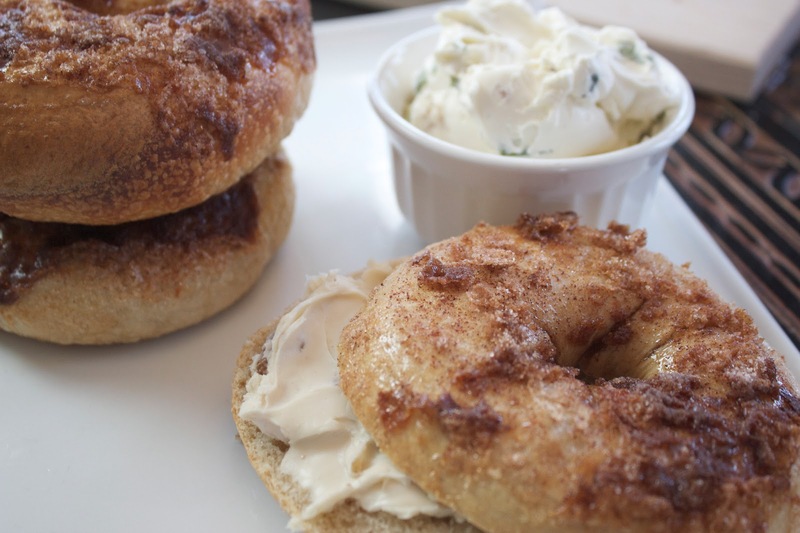 Those home made bagels look awesome! 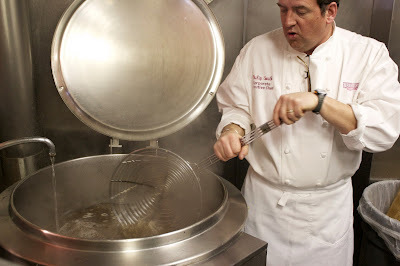 I'm so glad you had a wonderful visit and Chef Philip sent you home with a treat!